Tom Stacey’s unusual children’s book will delight the ear and eye of every child, be they 12 or 6, or in-between, this is a story to have read to them (at a rollicking pace), by every child-loving Mummy or Daddy or Granny or Grandpa be they 62 or 26, or in between. This Inquisitive dog-loving child (of which there are very many on Planet Earth) knows without being told that the Dog is Man's Best Friend. But how did this come about? This story was lost in the mists of time, for century upon century, until now! 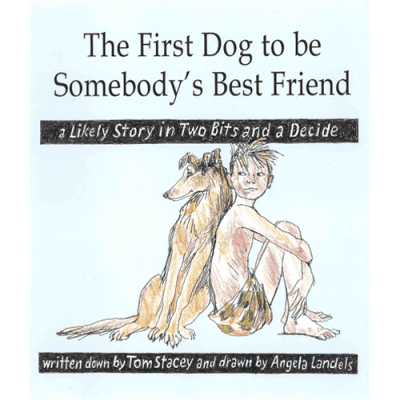 At last, in 2007, Tom Stacey has found out and written down the full and Deeply Moving Story, which he has shared in every detail with Angela Landels. She has drawn the pictures of what exactly happened.